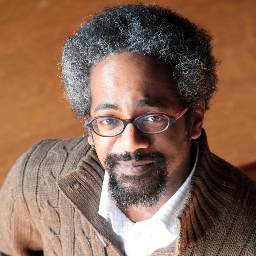 I am an associate professor of history at Vassar College, where I teach courses in African American history. Specifically, I teach classes on Martin Luther King, Jr., race and segregation, the civil rights and black power movement, and consumer culture. Before landing in Poughkeepsie, NY, my orbit was the Windy City. I am originally from the South Side of Chicago. I majored in business at the University of Illinois at Urbana-Champaign (B.S. 1997), which is not the typical pedigree of a history professor. Like many students of color, I had planned to enter a field with markers of success and mobility (business, medicine, or law). Yet, the study of history served as an intriguing interest that occupied many of my electives when I stole away from financial derivatives, marketing plans, and balance sheets. This interest proved so strong that in my senior year, I did an independent research project with a history professor on the all-black town of Mound Bayou, Mississippi. This paper, of thesis length and quality, won a campus essay competition, as well as a national award. While I was more than content with this work and to stick with business after graduation, my professor encouraged me to consider history as a profession. After graduation, I worked as an underwriter at an insurance company and started working on an M.B.A. at DePaul University (M.B.A. 2004) studying entrepreneurship. But the study of history was too strong of a pull to brush aside. I left the corporate world and entered a M.A. program in the social sciences at the University of Chicago (M.A. 1999). This was the springboard to a doctoral program in history, also at U of C (Ph.D. 2006). I never quite left business, tangentially, behind because my research focuses on African American social movements and financial security. Particularly, I am interested in how African Americans’ wages, wealth, and overall financial well-being helped shape black public spaces, political engagement, and activism. My first book, Cutting Along the Color Line: Black Barbers and Barber Shops in America (2013), chronicles the history of black barber shops as businesses and civic institutions, demonstrating their central role in civil rights struggles throughout the nineteenth and twentieth centuries. With Benjamin Talton, I co-edited Black Subjects in Africa and Its Diasporas: Race and Gender in Research and Writing (2011). With Melissa Harris-Lacewell, I coauthored “Truth and Soul: Black Talk in the Barbershop” in Harris-Lacewell’s Barbershops, Bibles and BET: Everyday Talk and Black Political Thought (2004). I am currently at work on my second monograph, tentatively titled The Wages of Resistance: Financing the Black Freedom Movement, which examines how civil rights and black power organizations negotiated fundraising imperatives with their political ideologies as functions of movement building. The solitary time to think and work out ideas is a necessity and luxury outside of the formalities of researching, reading, and writing. Running provides me that space. As an avid runner and certified running coach (Road Runners Club of America), I also help others incorporate running into their daily lives and train them to run a 5k, half-marathon or full marathon. I am also an intermediate tennis player. And, I recently started taking trumpet lessons—such a humbling experience. Ultimately, teaching and learning sit at the core of my everyday life.